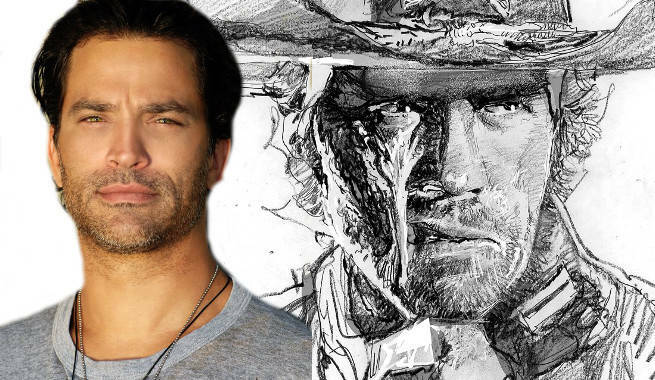 Star-Crossed and Quantico actor Johnathon Schaech has signed on to play Jonah Hex in DC's Legends fo Tomorrow, ComicBook.com has learned. The character, a former Confederate soldier who would go on to become a notorious bounty hunter after the end of the Civil War, will appear in an upcoming episode of the time-travel series set in the Old West. The CW's take on Hex is described as "A true legend of the Old West, a morally ambiguous gunslinger with a penchant for danger. Surprisingly, he knows a thing or two about time travel and the future, but is at home in the Wild West. He’s been battling outlaws and gangs for awhile now, and advises the team to be extra careful when they arrive in the small town of Salvation." Salvation, for those who don't follow the adventures of Jonah Hex, was the name of a Texas town where Jonah became caught up in a battle between a fundamentalist Christian named Sister Agatha who ran the town with an iron fist, and a group of local Apaches. "Ever since we decided that Legends would involve time travel, we were eager to do a story set in the Old West," said executive producer Marc Guggenheim when Hex was announced. "But if you’re going to do a story set in the DC Universe version of the Old West, you simply MUST include Jonah Hex in it. We’re thrilled about bringing another well known, beloved DC character to television." Hex, currently listed as a guest star with an option to recur, will make his first appearance in the eleventh episode of the show's first season. Longtime DC Comics fans will remember that Jonah Hex is no stranger to time travel; despite spending most of his existence as a Man With No Name-style drifter and bounty hunter, at one point the character starred in a series simply titled Hex, in which he was kidnapped by a villain who transported him to a post-apocalyptic, 21st Century Seattle, where Hex operated for a while before being returned to his proper time. He also took place in the Crisis on Infinite Earths. More recently, he's interacted with present-day DC heroes and locales both in Blackest Night -- Jonah came back as a Black Lantern -- and in All-Star Western, where he encountered Booster Gold and ended up thrown into modern-day Gotham City before Booster could find him again and return him to his past. Booster, of course, is the father of DC's Legends of Tomorrow Time Master Rip Hunter; Booster and Rip also encountered Jonah during one of their early adventures as partners about ten years ago, when they enlisted his help to prevent the murder of a man whose descendants would one day prove essential to Superman's survival. Hex has appeared in a number of animated series, but is likely best known to casual fans as the title character of a much-maligned 2010 live-action movie in which the character was portrayed by Avengers: Infinity War villain Josh Brolin. DC's Legends of Tomorow debuts on Thursday at 8 p.m. ET/PT on The CW. Update: This story originally misidentified Josh Brolin as his father, James. We apologize for the error.